After you receive an AliExpress product order, you first need to purchase the product from the supplier. After that, you need to mark the order as fulfilled using the Oberlo buttons. 1. You have purchased products from the supplier. 2. You have the Oberlo Chrome Extension installed and you are using the computer. Go to the Orders page and simply click "Get Tracking Code" button next to each placed order. If the supplier has already shipped the order, Oberlo will mark the order as shipped in Oberlo and add the tracking code. 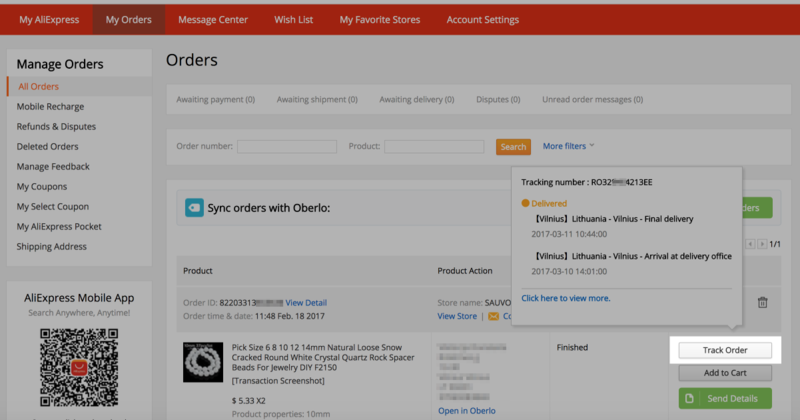 Go to the "My Orders" page and use the "Send Details", "Sync this page" or "Sync all orders" button to fulfill your orders. Syncs all orders - Syncs orders, that available on AliExpress > My Orders page in the last 30 days. If the supplier has already shipped the order, Oberlo will mark the order as shipped in Oberlo and add the tracking code. 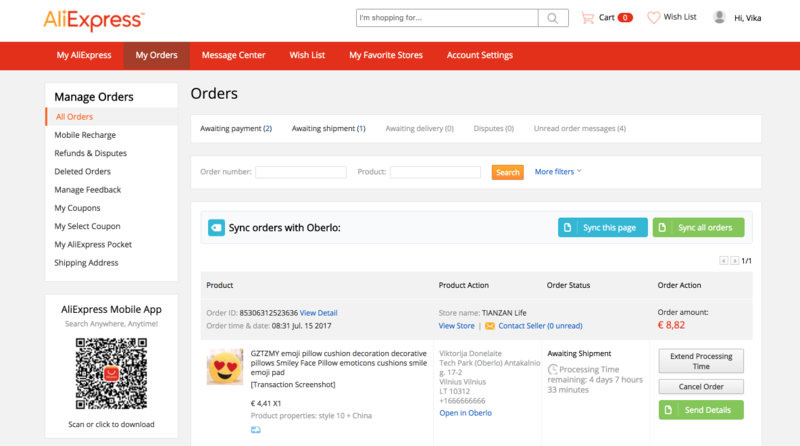 You can manually mark the order as fulfilled by copying the tracking code from the AliExpress website and pasting it in Oberlo or Shopify admin. 1. Copy the tracking code from the order. 2. Go to the Orders page in Oberlo, click "Mark as Shipped" and from the pop-up window, paste the tracking code. Or, go to the Orders page in Shopify admin, click "Mark as fulfilled" and from the newly opened page, paste the tracking code. You can also use the "Fulfill orders" button from the bulk actions menu.